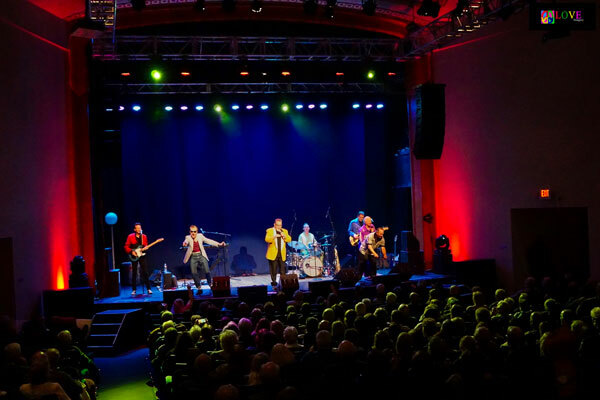 The audience is streaming into the Newton Theatre auditorium in Newton, NJ this Friday, Oct. 19, 2018 for a live concert starring Sha Na Na! In 1969, they performed live at Woodstock, and their appearance in the documentary film on the event started a nostalgia craze for ’50s music that inspired the Broadway musical Grease, the film American Graffiti, and the TV show, Happy Days. 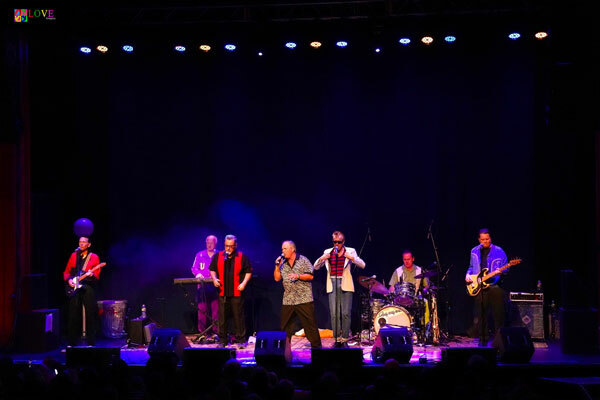 On tour, Sha Na Na opened for such groups as The Grateful Dead, The Mothers of Invention, and The Kinks. Once they reached headliner status, others opened for them, including an up-and-coming singer from New Jersey — Bruce Springsteen. In 1972, former Beatle John Lennon invited Sha Na Na to perform at a benefit concert held at NYC’s Madison Square Garden. From 1977–1981, the band starred in the syndicated Sha Na Na TV variety show which featured music, skits, and guests including Chuck Berry, Little Richard, Bo Diddley, The Ronettes, Chubby Checker, and more. Still rockin’ today, the group tours with original member Donny York on lead vocals. 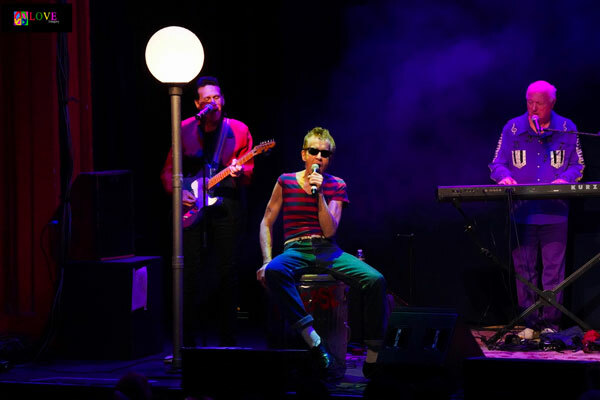 Original member Jocko Marcellino also handles lead vocals. 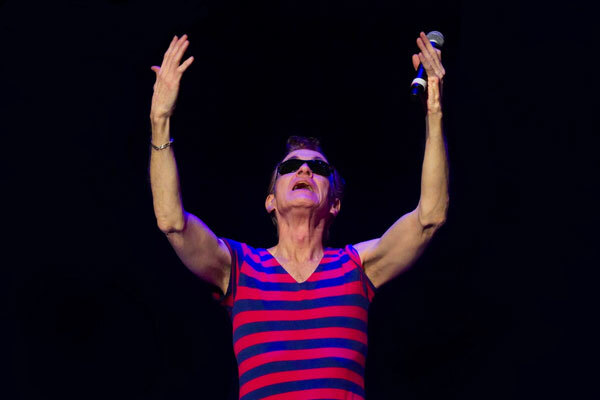 Keyboardist/vocalist Screamin’ Scott Simon joined Marcello and York just following the group’s 1969 appearance at Woodstock, and is still touring with them nearly 50 years later. 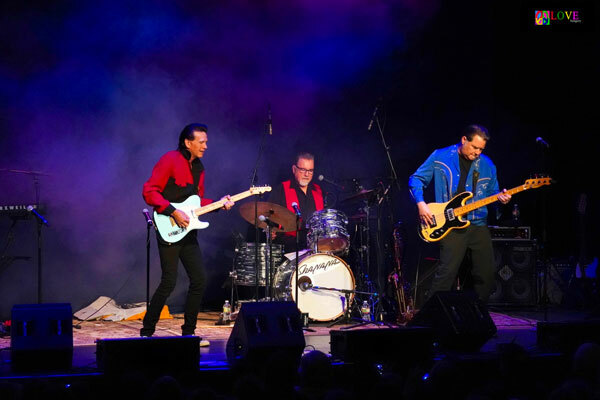 Rounding out Sha Na Na these days is bassist Tim Butler, guitarist Randy Hill, drummer Ty Cox, and sax player Michael Brown. Before the show begins, we take a moment to catch up with several Sha Na Na fans here in the Newton Theatre auditorium. First, we chat with Tara from Morris Plains who reveals, “I’ve been a fan of the group for over 30 years,” citing the Sha Na Na TV show as one of her favorites. Ann is also a fan of the entertainment programming here at the Newton Theatre revealing that she and Mel, too, plan to attend Ted Vigil’s “John Denver Christmas” show here on Dec. 8. 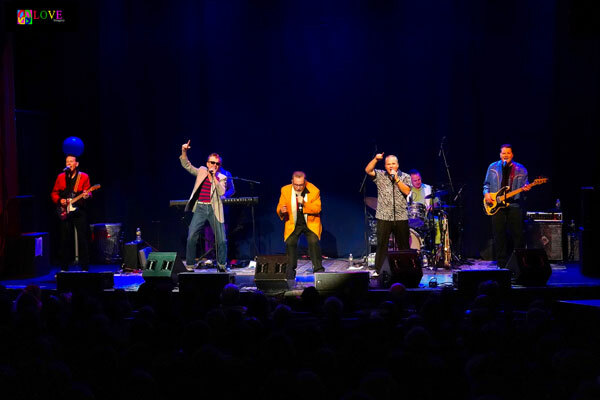 The lights dim and the excitement starts to build as the current members of Sha Na Na — Donny York and Jocko Marcellino on vocals, Scott Simon on vocals and keyboards, Tim Butler on bass, Randy Hill on guitar, Ty Cox on drums, and Michael Brown on sax — take the stage. 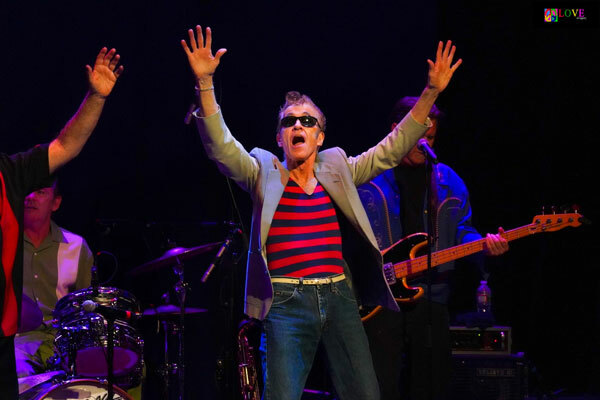 The group opens the show with a lively rendition of the song they performed in the film, Woodstock — Danny and the Juniors’ “At the Hop.” Featuring strong harmonies and a fun Scott Simon keyboard solo, the group displays an incredible amount of energy in their fifth decade as a band! 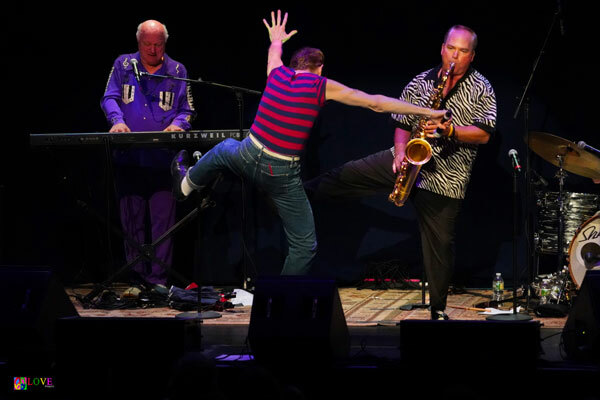 Several audience members can be seen twisting along with Sha Na Na on the group’s rendition of Joey Dee and The Starliters’ “The Peppermint Twist.” After a rockin’ Randy Hill guitar solo, the audience sings along with lead vocalist Donny York on the song’s famous “Hey, hey, hey, hey” interlude. 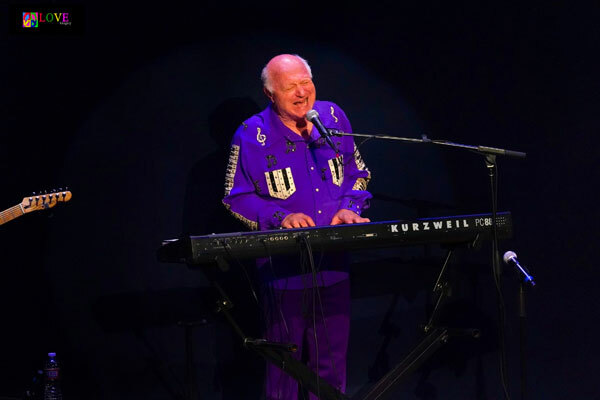 Keyboardist Scott Simon is featured on The Drifters’ “Save the Last Dance for Me,” when he chooses a lovely lady in the crowd and brings her onto the stage to dance while comically maneuvering his back side to the audience and shaking his groove thing on the song’s catchy “Save the last dance for me” chorus. 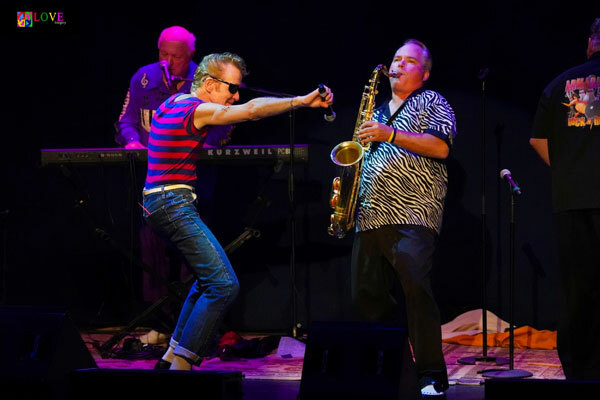 Following inspired Jocko Marcellino vocals on Johnny Maestro and The Crests’ “Sixteen Candles,” the audience claps along and shouts out the lyrics on the group’s rendition of The Champs’ “Tequila” — a number which features saxophonist Michael Brown. As the audience claps along, the band segues into Bill Doggett’s bluesy “Honky Tonk” which features a duel between Randy Hill on guitar and Michael Brown on sax. 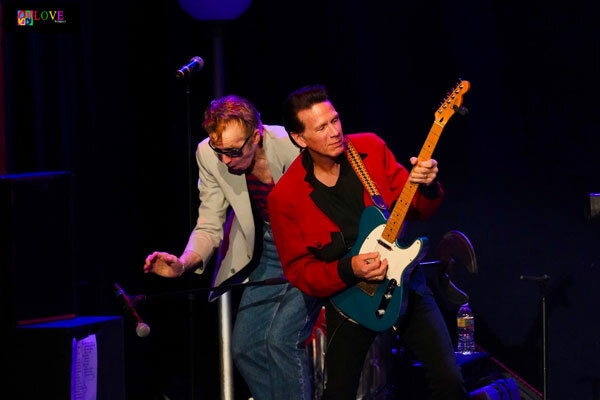 Bassist Tim Butler handles the lead vocal on The Riviera’s “California Sun” — as audience members dance — before everyone rocks out to a cool Michael Brown sax solo. 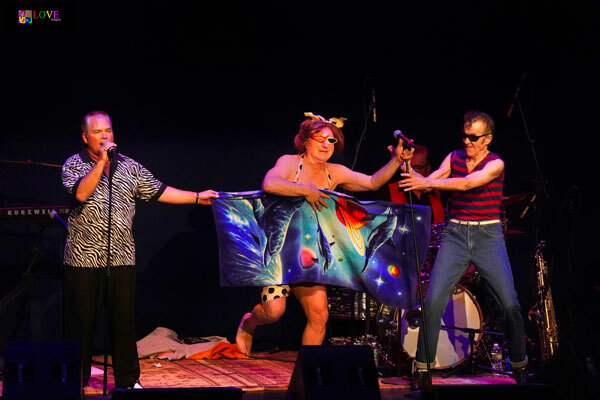 Comedy reigns on Brian Hyland’s “Itsy Bitsy Teenie Weenie Yellow Polka Dot Bikini” as Screamin’ Scott Simon takes the stage sporting sunglasses and a towel and removes it to reveal that he is, indeed, wearing a yellow and black polka dot bikini! 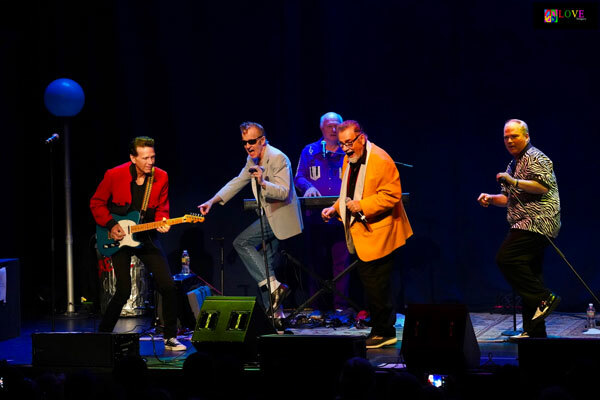 A highlight of the show is Sha Na Na’s instrumental rendition of The Surfari’s “Wipe Out” — featuring dueling guitars and lead singer Jocko Marcellino taking a drum solo — which segues into a twangy ’60s guitar version of “Walk Don’t Run” by The Ventures. The audience enjoys a touching rendition of The Righteous Brothers’ “(You’re My) Soul and Inspiration” before Act I concludes with a dynamic version of Ray Charles “What’d I Say” featuring strong Scott Simon keyboard playing, four-part vocal harmonies, and audience members joyously singing and dancing along to the happy Sha Na Na sound. Following a short intermission, Act II opens with Sha Na Na’s version of The Del-Vikings’ “Come Go with Me.” Starting out as an a cappella arrangement, as soon as the instrumentalists kick in, a couple can be seen dancing in the front of the auditorium while Michael Brown rocks out on the sax. And Brown continues to impress on The Clovers’ “Love Potion #9” when he holds a single note for what seems like minutes on end! 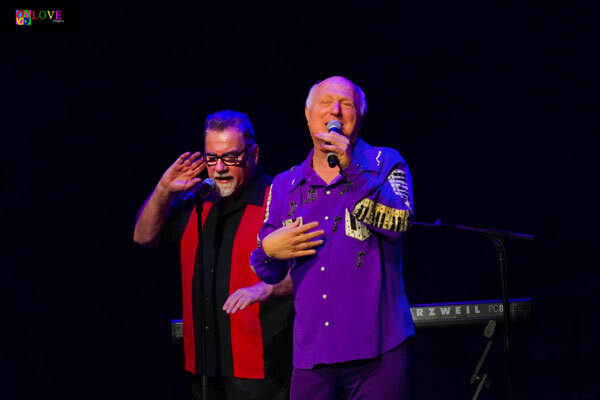 The crowd cheers before Donny York says, “Our best audiences are always in New Jersey, so sing along on our next tune!” Here, the audience happily joins in on Dion and The Belmonts’ “Teenager in Love,” the entire crowd crooning, “Why must I be a teenager in love? Organ and saxophone shine on a dynamic version of The Dovells’ “You Can’t Sit Down,” which the audience loves and demonstrates it by cheering excitedly! Then, the guys really rev things up with a smokin’ rendition of Sam the Sham and The Pharaohs’ “Wooly Bully!” with the crowd happily singing and dancing along. As audience members make their way out of the auditorium, we chat with several concertgoers who share their opinions regarding tonight’s show with us. “We’ve been dancing together for 51 years!” exclaims Mary Ann. 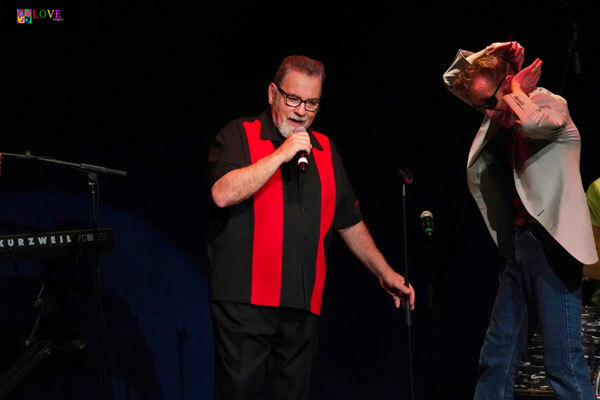 Whereas Jerry’s favorite tune was “Blue Moon” and Mary Ann especially enjoyed “Wipe Out,” all three music lovers say they truly enjoyed Sha Na Na’s complete performance tonight.